Want to Ask Chris Cuomo a Question? 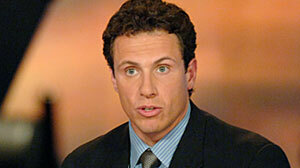 Chris Cuomo is co-anchor of "20/20" and chief law and justice correspondent. Ask Chris Cuomo and the Law and Justice Unit the questions you've always wanted to! Send in your questions or ideas by filling out the form below. An excerpt from your response may be used in a future ABC News story, or an ABC News producer may contact you for more information. What is your question or idea?